London Fabric Finds, and a Giveaway! By Funnygrrl May 15, 2013 fabric giveaway London! Well, London was amazing. We did almost everything that we wanted to do. Including finding some highly recommended pubs and buying fabric from Walthamstow Market, following Karen’s map. This doesn’t photograph well as it is a sheer chiffon. It’s navy and white. I liked the chevron and I think it was 1.60 BP per metre. I almost walked away from this but I’m a sucker for a non-floral pretty print. And it has blue, black and plum. Great to go with almost anything. The black and white floral/dot print was from the Man Outside Sainsburys. 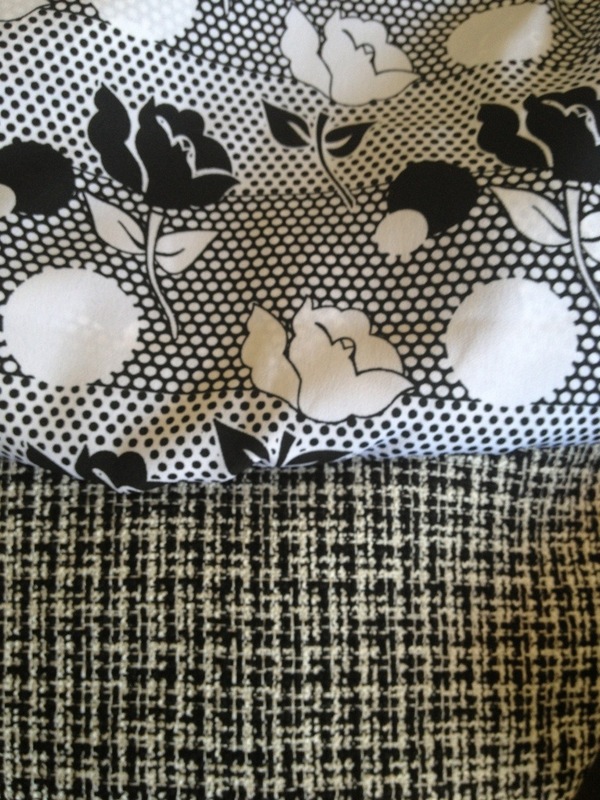 The black and white tweed is from the shop called The Fabric Shop. So helpful to name a store exactly what it is. The tweed was the priciest I bought at the market at 3 BP per metre. About $4.50 CAD per metre. Please leave a comment below. I will draw a random winner on May 31st as a special treat on the last day of Me-Made-May ’13! I LOVE that liberty fabric. Its so beautiful!! And thanks for the generous giveaway, what cute stuff! I love your black and white zigzag fabric! Please enter me for the cute London giveaway (if you’re willing to ship to the US), those buttons are almost as irresistible as the singer necklace! I forgot to say that I will ship anywhere! ohhhhh… such lovely buys from london.. I want to enter for the giveaway.. I love the Singer Sewing Machine Necklace. Where did you chance upon it? The necklace I found in Portobello Market. So cute! I will pass on the give away as a past winner. Share the love! But… I love your fabric haul. We really have similar taste in non-floral prints and colour schemes. You found some wonderful fabrics in London! I love the buttons, necklace, & tape measure! I, too love non-floral prints! It’s so fun to get fabric on vacation – the garment you make from it is double the fun with the memories. I’ve only done it once, but I love the pieces I have. Thanks for hosting the giveaway! All of the fabrics you found are great! Hope you do cut into the Liberty, whatever you make with it would be gorgeous. Love the Singer necklace, what a great giveaway! Please enter me! I went to London before I was really interested in sewing, and now I’m kicking myself for missing out on all the awesome sewing-related places there! 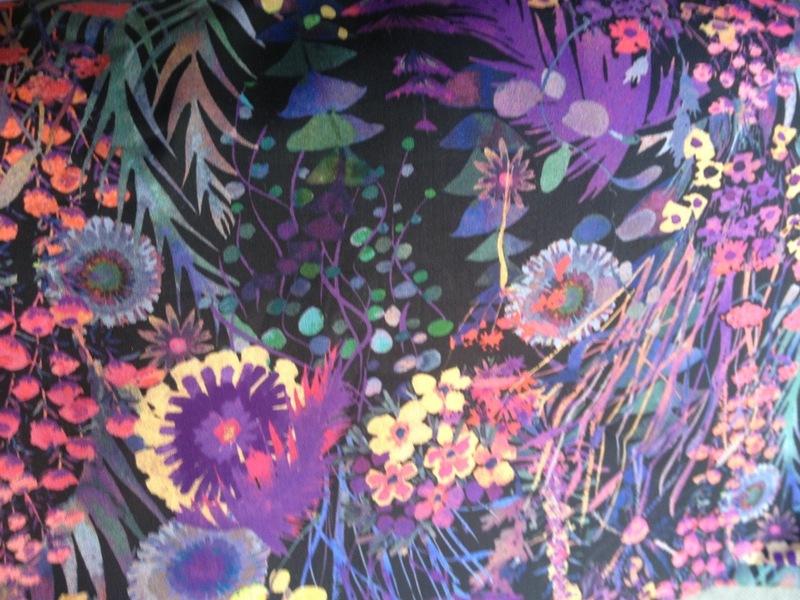 I do love that Liberty print, and I can’t wait to see what you make from it. That fabric is divine! Great finds. Please count me in – loving those trinkets. Some lovely fabric finds, so satisfying when that happens. Please enter my into the giveaway too. Good luck everyone. 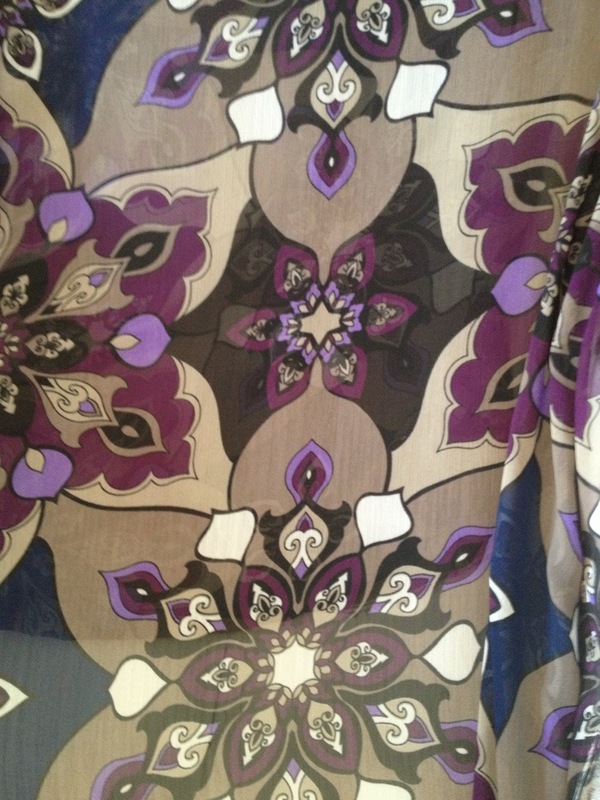 I went to London eons ago and I need to go again soon…..Hmmm…I love all the fabric you purchased. Please enter me in your give-away. Hahaha i love how you are being so honest about the necklace! 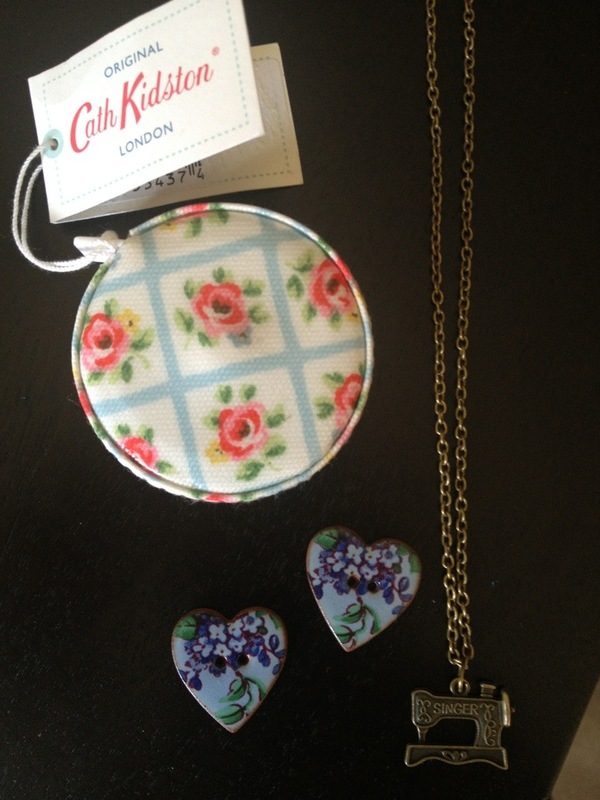 ;) thanks for the chance, I love Cath Kidston! Ha ha! I didn’t want to get sued for severe reactions that lead to decapitation or anything.